Treemendous: Our 15th National Park? – Forest & Bird Treemendous: Our 15th National Park? Treemendous: Our 15th National Park? Our much venerated 2,500 year old kauri tree – Tane Mahuta – and forest giants like him may recieve greater protection with plans afoot to make our 15th National Park in the heart of Waipoua Forest. Situated four hours from our largest city, a national park will place greater protection around this sub-tropical forest and the endangered creatures who call it home – from North Island brown kiwi to kokako. 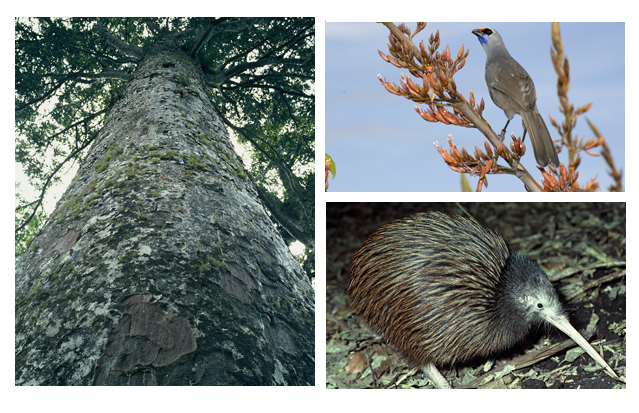 Our towering kauri and our endangered species, such as our kokako and north island brown kiwi will be placed under greater protection if a National Park goes ahead. National Parks aren’t created quickly – it took 14 years for Whanganui, 12 years for Paparoa. We’ve been campaigning for a National Park in this area since 1988. Turning this DOC land into a National park will mean that the area cannot be flogged off without the consent from the governor general. And as we’ve seen with other parks, there has been a concerted effort to fit these areas out with extensive tracks and huts. It will give this area an international profile. It will put these forgotten parts on Northland back on the map. It will re-invigorate the local economy. And it will become a draw-card for locals and tourists alike. This is an area that Forest & Bird has worked hard to protect. It wasn’t until we presented parliament with a wheelbarrow filled with 50,000 signatures, that it was saved from the chainsaw gang back in the 1940s. That said, our job is not over – Waipoua is one of the areas that contains schedule 4 land (our most treasured) and so therefore could be attacked by a mob of bulldozers. In recent years Te Roroa have played an active part with the NZ Forest Restoration Trust in protecting private forested land around Waipoua and restoring native forests to cleared land. And if all goes to plan these surrounding areas will be incorporated into this plan to create a truly unique sub-tropical wilderness area. Does anyone else remember a programme that was on TV quite recently, called “Life on Mars”, where someone from today wakes up in the 1970s? Now, I wonder why this Kauri National Park proposal reminded me about that programme? As those cheese lads and others say, “Good things take time”…. I hope this 15th Natural Park does not get created so it can become our 15th National Mine!